Many of you will have already seen some of our floor books, for example, our letters and sounds and den making books which show in detail how we we work with the children to plan activities around their interests and ask for their input on what they want to do and how they want to do it. Today we have started a new floor book which is going to be all about our new space station. 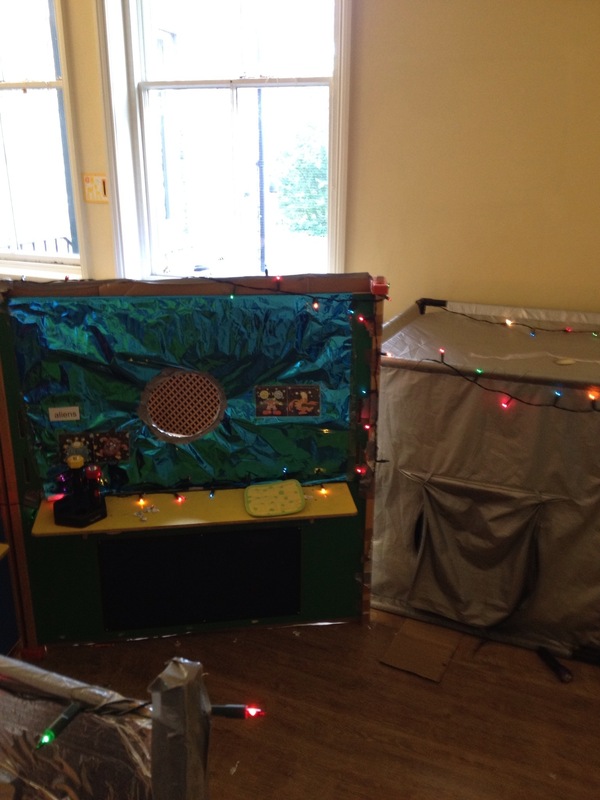 Since our last announcement, the Danesmoor House space station has had a new module attached to it as well as the all important window in which the children can see their own planet as well as all the others in the solar system. We have added lights and a torch station for use in the dark module. The floor book is the product of circle time with the children. Their suggestions are recorded, photographs are taken, not just to show parents, but so that the children can revisit what they have done and remember their achievements. 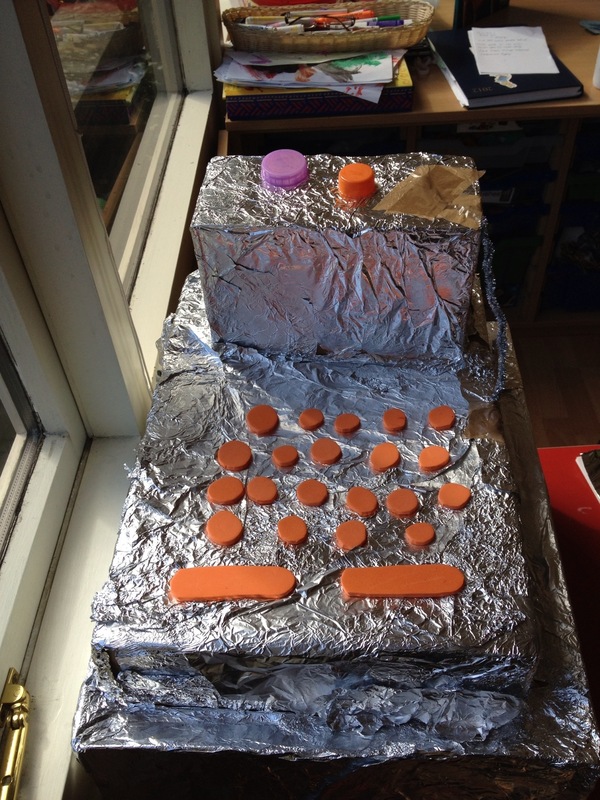 The need for a control panel was identified early by the children and has been built with adult supervision as part of a group. It involved working as a group. Fine motor control skills for the cutting and gluing as well as gross motor skills to put the boxes together and stick down the foil. Working with children is a fine balance of providing stimulus and letting them lead the activity. 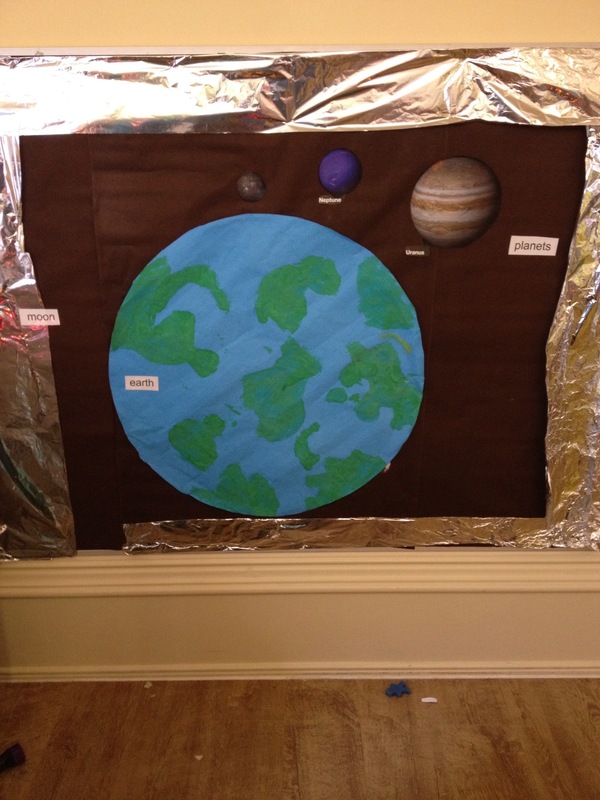 In this case the stimulus is the space station, who knows where the children will take it, but one thing is for sure, it will provide them with a launch pad from which they can explore a whole world of ideas and skills.